(MENAFN - UkrinForm) The Mejlis of the Crimean Tatar people has decided to support Petro Poroshenko in Ukraine's presidential election on March 31. A respective document has been posted on the Facebook page of the head of the Mejlis, Refat Chubarov. The Mejlis is convinced that "the most significant criterion in assessing candidates for the Ukrainian presidency is their ability to mobilize Ukrainian society to rebuff Russian aggression against Ukraine and begin the process of restoring Ukraine's sovereignty and territorial integrity within its internationally recognized borders, which include the Autonomous Republic of Crimea and the city of Sevastopol." Therefore, the Mejlis has decided to express its support to incumbent President Petro Poroshenko in the March 31, 2019 election. The Mejlis also calls on Ukrainian citizens who live in the territory of the temporarily occupied Crimea to participate in the Ukrainian presidential election at polling stations located in mainland Ukraine. It also urged the executive council of the World Congress of Crimean Tatars and the Crimean Tatar diaspora in different countries to facilitate the organization of voting at foreign polling stations. 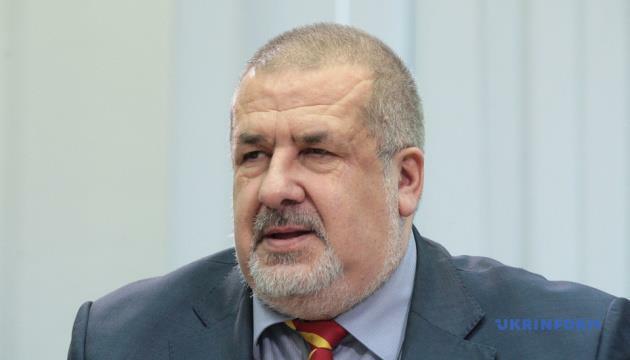 Chubarov added that the decision of the Mejlis of the Crimean Tatar people "On the election of the President of Ukraine on March 31, 2019" was approved and signed on February 27, 2019. As reported, 44 candidates registered for participation in Ukraine's presidential election on March 31. Subsequently, five candidates submitted applications to the Central Election Commission to withdraw from the presidential race.